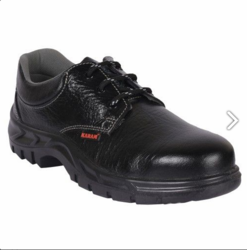 We are Suppliers, Wholesalers & Distributors of Karam Safety Shoes from Delhi, India. 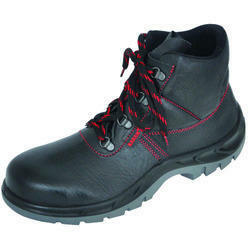 Our Karam Safety Shoes are of High-quality & pertains industry standards. 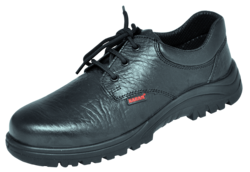 Our Karam Safety Shoes are available in different types & sizes. 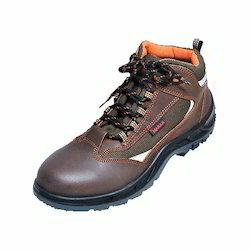 Karam Safety Shoe is very light to carry and nominal to buy. Moreover, our quality controllers keep the supervision under strict quality control to ensure global standards. 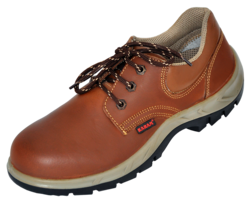 We are dealing in Karam Safety Shoes in Delhi (NCR), all cities of Uttar Pradesh like Ghaziabad, Noida, Greater Noida, Gautam Budh Nagar, Meerut, Moradabad, Bareilly, Aligarh, Agra, Bulandshahar, Kanpur, Lucknow, Unnao, Banaras / Varanasi, Allahabad, Lucknow, Gorakhpur, cities of Haryana, Faridabad, Bahadurgarh, Gurgaon, Ambala, Sonipat, Panipat, Cities of Uttrakhand / Uttranchal like Dehradun, Roorkee, Haridwar, Rudrapur, Ramnagar, Haldwani, Nainital, Mussorie, Cities of Bihar like, Patna, Darbhanga, Bhagalpur, Begusarai, Motihari, Siwan, Gaya, Mokama, Jamalpur, Purina, cities of Jharkhand like, Ranchi, Ramgarh, Jamshedpur / TATA Nagar, Dhanbad, Bokaro, Deoghar, Medininagar, Phusro, Dumka, Hazaribagh, Gumla, Gomia, Cities of Rajasthan like, Jaipur, Alwar, Bhiwadi, Neemrana, Udaipur, Jaisalmer, Cities of Punjab like, Chandigarh, Ludhiana, Amritsar, Ambala, Cities of Madhya Pradesh like, Gwalior, Indore, Bhopal, Etc. 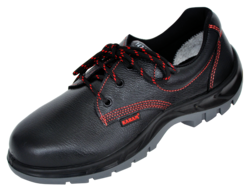 We are capable of offering a superior quality assortment of Karam Sports Safety Shoes that is presented in several designs, sizes and colors to meet the varied needs of the clients. 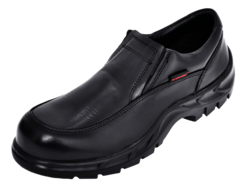 The offered shoes are designed from premium quality raw material and modern machinery in line with the latest market trends. Offered shoes are meticulously tested on various parameters ahead of delivering at clients' end to ascertain their perfectness. Our precious clients can avail these shoes at meager costs. 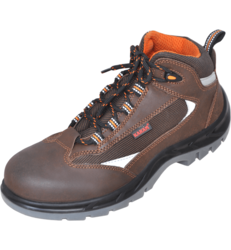 We are manufacturer and suppliers of the best quality of Steel Toe Safety Shoe.